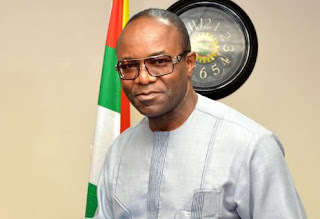 The Minister of State for Petroleum, Dr. Ibe Kachikwu, has disclosed that Nigeria and its former long-term crude oil trading partner, the United States, may soon rekindle their trading relationship in crude oil. The minister, who also said in spite of the Nigerian National Petroleum Corporation’s (NNPC) difficulties in meeting its cash call obligations, would not sell some of its stakes in the Joint Ventures (JV) with local and international oil companies (IOCs), added weekend in Kaduna that the United States had made overtures to resume buying Nigeria’s crude oil. He said the development was a fallout of President Muhammadu Buhari’s July 2015 visit to the US. He, however, did not disclose details of the development but said that the US had indicated its interest in buying “very limited” quantities of Nigeria’s crude and that negotiation on that was ongoing. The minister, who was in Kaduna to inspect the status of repair works on one of the country’s refineries, noted that irrespective of the renewed interest from the US, Nigeria was still diversifying its crude oil trading destinations deeper into Asia and other parts of the world. “The fact of US actually being back into the sales of crude market obviously will impact on prices but what you find is that the volume of export that US intends to do is really minimal because there is a lot of local internal consumption and strategically they are still reaching out to buy a couple of Saudi barrels and in fact they are opening up to buy a couple of Nigerian barrels,” Kachikwu said. He explained that after the president’s visit in July, the US indicated interest in buying very limited quantity of Nigerian oil, partly to support the market, adding that conversations on the overtures were ongoing. The minister, however, said it would be technically wrong to say that the US had in the past stopped buying the Nigerian crude since three of the major oil producing companies in Nigeria are US-based and have up to 40 per cent share of Nigeria’s production outputs. “They never really stopped because they take their own barrels of the share into their own refineries. What we are talking of is the NNPC's portion of the crude which is about 60 or 55 per cent depending on the share of others. That is the element we are talking of whether they will continue to buy,” he said. He also disclosed parts of the strategies he hoped to deploy in co-locating refineries on the same sites with the existing ones in the country. He said this would reduce cost as facilities, including premises, tank farm, pipeline and power source would be shared by the refineries. “It automatically reduces your cost to around the $1 billion benchmark because power is a key element of that cost. So, it will be quicker and cheaper and your return on investment will be more,” added Kachikwu.